Challenge your hand-to-eye coordination. Lots of fun. Visual and tactile. 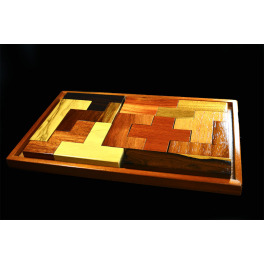 A great sampler of assorted Belizean hardwoods. 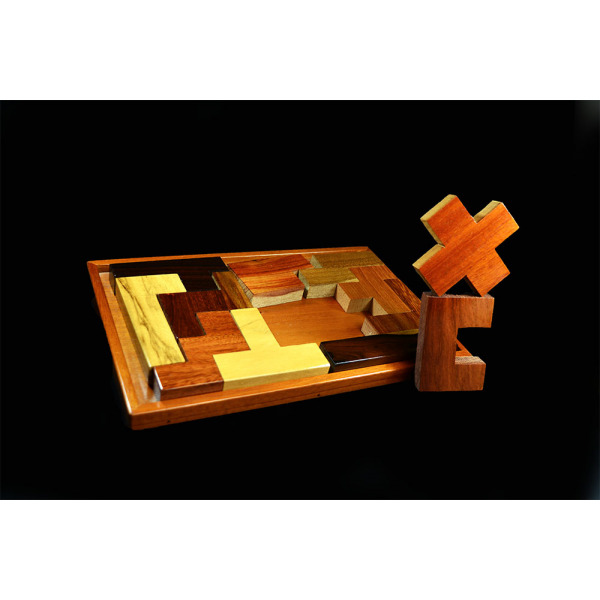 This puzzle provides a variety mixed exotic hardwoods, such as: purple heart, granadillo, hobillo, rosewood, manchiche (aka “Mayan walnut”), brown rosewood, guanacaste, and ziricote cut into twelve unique geometric shapes and set in an 13” x 8” x 1.25" mahogany frame. 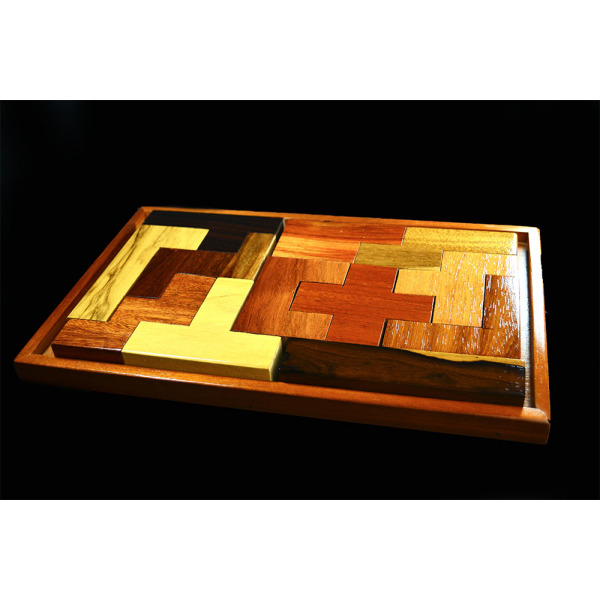 The polyurethane coating seals the wood with shine and celebrates the gorgeous natural colors of the wood. See how many ways you can solve it!